Thanks for joining us today. We will be adding detailed posts on all products announced today. Tony is on stage singing "The Best is Yet to come". The last keynote is ending with performance by a music legend - Tony Bennett! The iTunes music store is now available on 3G also and all songs are DRM free yippee!!! It about iTunes, Apple sold six billion songs and has the largest music library. Phil says " We do have one last thing"
So the base configuration will be 17-inch LED backlit screen, 2.66GHz processor, 4GB DDR3 RAM, Nvidia 9400M GT chipset, 512MB Nvidia 9600M GT graphics, 320GB hard drive and super drive for $2799. Now he is showing ad for the new 17-inch MacBook Pro. If you run the new 17-inch MacBook Pro on 9400M graphics card it will give 8 hours battery life, if you use 9600M graphics card it will give 7 hours battery life. He is talking more about the battery, Advanced chemistry, intelligent monitoring and adaptive charging. Now he is showing the video of the battery making process. Apple says says the new battery on the laptop is not removable and hence Apple was able to create a 40 percent larger battery in the same space. the battery will last 8 hours on a single charge and can be charged 1000 time. The lifespan of the battery cells are three times the industry standard. 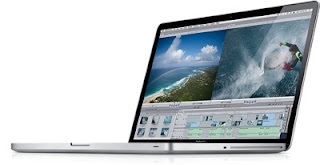 The laptop will be almost same as the new 15-inch MacBook Pro. 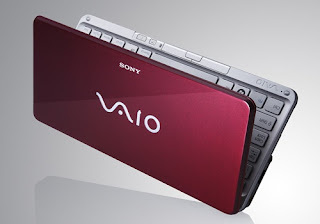 The laptop will come with Intel Core 2 Duo 2.66GHz up to 2.93GHz, 6MB L2 cache and up to 8GB DDR3 memory. There will be $50 anti glare option also. The new laptop will have 1920 x 1200 display with 700:1 contrast ratio and 60% color gamut. It is the worlds lightest and thinnest 17-inch laptop. One more thing: And its the new 17-inch MacBook Pro. What?!? You can use the iwork.com for Pages, Numbers and Keynote applications. Beta will be free but eventually it will be a paid service. You can edit the document on the iwork.com just like you do it on Google Docs. You can just upload the document from pages to iwork.com. it will generate a link which you can send by email to the person with whom you want to share the document. Apple is now talking about iwork.com a beta release, it help you to share and get feedback on documents that you are working on. The iWork 09 will be priced $79 for single license, $99 family pack and $49 if bought with new Mac. Ships today. Other features include advanced chart options such as mixed charts multiple axes charts, trend lines and error bars. Next up is Numbers 09 and Apple has added new features such as new Table categories and 250 functions along with the appropriate mouse overs and color coding. He shows various new Page templates and themes for Pages 09. Next is Pages with fullscreen view. Like the iTunes Remote for the iPhone and iPod touch there will be a Keynote Remote App but it won't be free. it's priced $0.99. The Keynote 09 will have Magic move, object and text transitions, chart animations and more themes. Phil is demoing the new Swing transition for Keynote 09. The second on list is iWork. it looks like there will be only one hardware announcement today. iLife is coming in late January for $79 and family pack will be priced $99. Each artist lesson for a song is $4.99, now he is showing video of various artist lessons. The feature will include 9 basic lessons for guitar and piano. the feature also allows artists to help you play... it is called artists lessons. John Fogerty, Fallout boy and Sting! He is now demoing the feature. he plays a snippet and an instructor in video shows how to play the snippet. He is talking about just one feature "Learn to Play". it shows users how to play an instrument. He now talks about Garageband 09. He is now showing real time video effects like cartoon, X-Ray and aged film. he now shows addition of Map to the video. when the video is played back the map comes in a cool animated form. Merging clips and image stabilization looks awesome. Randy Ubillos, chief architect, Video applications is now demoing in detail the features of the new iMovie 09. A new dialogue feature allows you to put audio only clip on top of other clips just by dragging it on. Now Phil is demoing iMovie 09.
iMovie will have context sensitive menus for clips, animated travel maps both in 2D and 3D, auto stabilization for shaky video and of course dynamic themes. Phil says that this new version will blow away your minds as it has features for every customer. It's getting boring, what's next? Now Phil is showing the Geotagging feature of iPhoto. Phil is now doing live demo of all the iPhoto features. Apple uses face detection to properly position pictures, the pics are flipping in and out like iPod commercial, you can now use the same slideshow theme on your iPhone too. Now Phil is demoing new slideshow themes in iPhoto. He says that now you can customize the slideshow further. Apple is also adding inbuilt support for Facebook and Flickr. Maps for this feature comes from Google. it provides street maps as well as satellite images. Places uses geotagging, Phil is now demonstrating geotagging. for example iPhoto will provide information such as Eiffel Tower Paris based on the lat / long. The second addition is Places: where iPhoto will organize photos based on locations where they were taken. It can recognize same person in different photos automatically. Faces will let you organize photo by people and it uses face detection technology, you can tag photos just like you do on Facebook. Talking about iPhoto 09, the Event feature is well received by the customers and they are adding two new event features one is called faces. Last year Apple sold 9.7 million Macs and Mac business is growing twice as fast as the rest of the industry. He says that today he is going to talk about Mac business. He says that Apple is having a very exciting time, people are lining up for the products. Lights are down and Phil is on stage welcoming everyone. Looks like Phil is about to come on stage. We are in the hall and there is lot of noise. What do you think will Steve come on stage? Well we have been waiting inline for about three hours now and the line as started moving. Apple announced in December that Steve Jobs won’t be presenting the Macworld 2009 keynote and Phil Schiller will take his place. 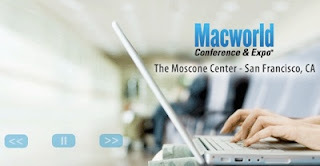 Apple also announced that this would be their last MacWorld Expo making this Macworld 2009 keynote one of the most talked about keynotes in Macworld history. We will be doing live coverage of the keynote starting at 9:00AM Pacific/10:00AM Mountain/11:00AM Central/12:00PM Eastern /5:00PM London on Tuesday, January 6th. 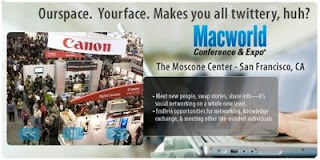 Please join us tomorrow on live.techztalk.com for live coverage of the Macworld keynote. Before the keynote starts you can go ahead and read our Macworld 2009 rumor roundup.